MJ O’Donnell was baffled by the case. This was one of her regular accounts — Alex and Shea Higginbotham — and they lived in a relatively new house with no history of significant pest problems. Now all of a sudden, both of them were complaining of pests … and their story seemed so believable. It was mid-March as MJ made her way through the upscale Wellington District neighborhood, where the willow trees and redbuds were just beginning to put on leaves, one of the first signs of spring. She pulled up to their house on Primrose Street, and gathered her things to go inside for an inspection. Alex Higginbotham greeted her at the door. He was friendly, but the look in his eyes belied his smile. “It’s about time you got here, MJ. Come on in. Shea and I have been anxiously waiting for you.” MJ couldn’t help noticing numerous scabs and fresh bloody spots all over his hands and arms. The DEET repellent comment unnerved MJ, but she tried to reassure herself that she could walk through the house without getting infested. She found the house spotless. In fact, it looked like a museum, with everything perfectly in place and prominently displayed. It was as if they were trying to win the “best home interior award” in Southern Living or something. The place smelled heavily of bleach. There was barely enough dust anywhere in the house for her to even collect one dust sample. She had serviced the account on several occasions previously, and there were no pets, no mice, no bird nests in the walls, or anything else that might lead to a mite infestation. After a half-hour of attempting to take samples from around the house, MJ joined Alex and Shea in the living room. She was uncertain about sitting on the furniture, so she stood near the door. MJ looked from one to the other. It must be real since both of them have it, she thought. What are the chances two people could have something like this? MJ turned to leave. She didn’t remember exactly what she said to Alex and Shea after that, but she definitely knew in her own mind what she was going to do. 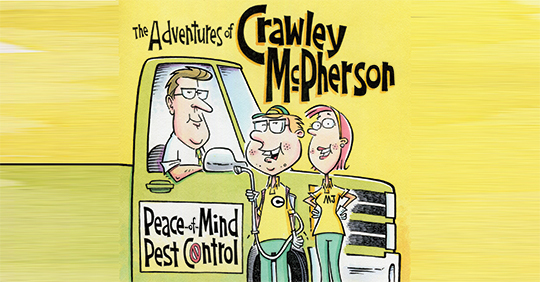 This is a job for Crawley McPherson. 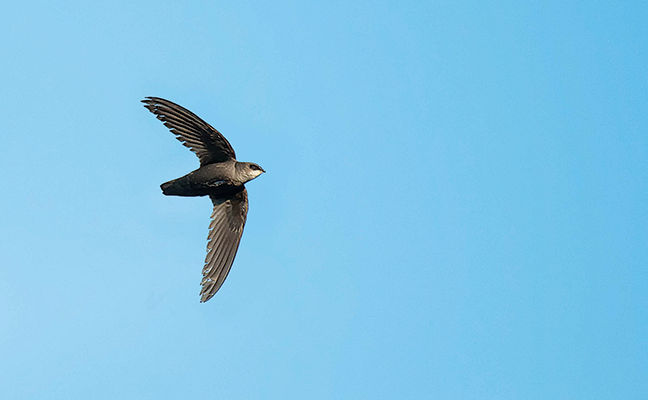 Was the humble chimney swift (Chaetura pelagica) to blame for the Higginbothams’ distress? The next morning, MJ waited for Crawley near the front entrance of the Peace-of-Mind headquarters. She was sitting in a comfortable chair in the small foyer of the building, drinking coffee and pretending to read Pest Management Professional magazine, but she was really trying to ambush the little bug nerd when he arrived. She knew he usually came by the office early to get stocked up on materials for the day and get any last-minute instructions or assignments from Margie, the office manager. Soon, she spotted him scurrying up the sidewalk toward the building. Sure, he was socially awkward and had disabilities, but MJ admired him. He was honest, hard-working and loyal. And he would go after a bug problem like a dog after a bone. “You ever thought about taking the license exam and starting your own business?” MJ asked. Inside Crawley’s office, MJ told him about Alex and Shea Higginbotham and the mysterious pests biting them. She explained how none of her samples revealed any mites or biting insects that could produce the bite marks on their bodies. “I guess I could work it in my schedule,” he said, after some hesitation. The next Saturday afternoon, Crawley made his way to the Higginbotham residence. Technically, he was off on Saturday afternoons, but it was the only time he had free to look at the Higginbotham case with MJ. MJ was parked in the driveway when he arrived. He donned his technician’s toolbelt, grabbed a small notepad, and went to meet her. Alex Higginbotham met them at the door and ushered them into the living room, where Shea was sitting in a big fancy chair twice her size. She was angled to the side with her legs crossed. 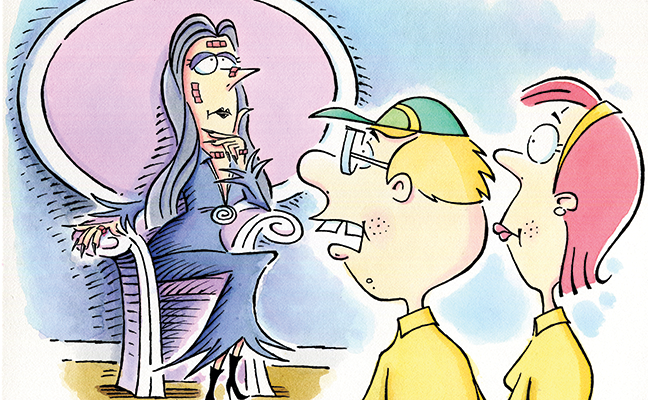 It reminded Crawley of Morticia of “The Addams Family,” and he almost giggled out loud thinking about it. Shea began by retelling the experience with the bird falling out of the chimney and how she was convinced that’s how the bugs got inside the house. Then, she proceeded to describe in great detail how the mites would come and go, change in form and color, and submerge and then re-emerge in her skin on a nightly basis. Shea fell silent, MJ’s jaw dropped, and Crawley simply sighed. He’d heard talk like this before. The scene sent Crawley back to his childhood days when his dad would scream at him for forgetting to do his chores or not cleaning his room. It was all he could do to stand there in the Higginbotham home and not run out the door. Shea huffed and shot out of the room, saying something about going out on the patio to clear her head. “Where in the world do you get this stuff?” MJ raised her hands. “How do you know such things? Dr. Goddard is an extension medical/veterinary entomologist at Mississippi State University. He is also a PMP Hall of Famer (Class of 2012). He may be reached at jgoddard@entomology.msstate.edu. 1 Comment on "Fiction: Crawley and the mysterious itch"